Selecting a website design for your online business is both exciting and challenging. Whether you’re just starting out or it’s time to revamp your existing site, there are so many options available you might not know where to begin. For starters, you have to decide between free and premium themes. Is it better to shell out hard-earned cash, or can you get by with an inexpensive or even a free alternative? Then, how can you tell which theme is the best for developing your site and implementing your business vision? The sheer number of themes available can make your decision confusing and frustrating. What if you make the wrong choice and your site looks unprofessional or functions poorly? How do you know if a particular theme will end up being difficult to implement and maintain? Not to worry! It is possible to avoid analysis paralysis and move ahead confidently. 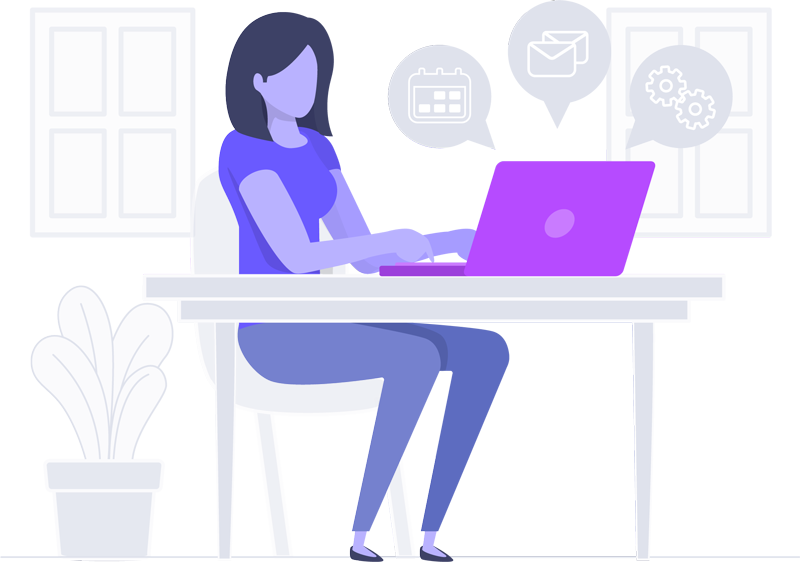 Even if building or maintaining a business website is more involved than you thought it might be, using Divi by Elegant Themes is the best way to simplify your web design, maintenance, and constant improvement. VAWW Online uses Divi exclusively for all our web design projects (including our own! ), so I’ll explain why it’s the framework of choice for plenty of other businesses as well. Among the most popular WordPress themes in use today, Divi is extremely easy to use with little learning curve. You know it’s safe because the developers partnered with Sucuri.net to certify its security. And purchasing Divi is an extraordinary value that comes with even more bonus perks. The team at Elegant Themes has been around for over 10 years and is committed to maintaining their products. Rest assured they’ll still be available to offer support for the foreseeable future. And although it’s their flagship theme, Divi is not the only product included with every Elegant Themes subscription. Another 87 (not a typo!) more themes and plugins are provided as well. (Speaking of plugins, the Divi Builder Plugin works with any theme!) You also gain access to any new items created during your enrollment. Website designers are not restricted to a certain number of uses, either. You’re free to use any of your Elegant Themes products on as many websites as you choose. Also of value to developers, Divi offers a split testing tool and can be translated into 32 languages. It’s Incredibly Popular. Some may take Divi’s popularity as a negative because it’s currently being used on over 1 million sites worldwide, without considering the very reasons why it has become a favorite. Elegant Themes provides a value-packed bundle. Divi has numerous positive features that justify its huge and devoted following. Here’s a sample. Divi by Elegant Themes is perfectly customizable. It’s Responsive. Right out of the box, Divi allows you to create sites that adjust to different screen sizes on the fly. Even better, its Visual Builder allows you to toggle between smartphone, tablet and desktop views while editing, and remains fully functional in all three modes. You can easily specify different settings for each view to completely customize your site for various screen sizes. It’s E-Commerce Ready. Divi is fully compatible with WooCommerce, one of the web’s most popular e-commerce platforms. If you plan to do online selling, integrating Divi with WooCommerce is practically seamless and allows you to professionally showcase your products and services. It’s Constantly Upgraded and Updated. Elegant Themes works hard to create the ultimate WordPress theme and make Divi the only one you’ll ever need. That means constantly refining and improving all their products to make them the best on the market. Significant Divi upgrades are routinely announced on the Elegant Themes blog and are instantly available to users. It’s Infinitely Customizable. No two sites built with Divi look exactly alike — unless that was the intent. It’s so simple to personalize every aspect of your website, from layouts to fonts and colors to sizing and spacing, that you can achieve your true vision and have it online working for your brand in a few easy clicks. Elegant Themes also provides innovative Layout Packs for a variety of industries, helping to kickstart your design with fully adaptable page layouts you can use as starting points to develop your brand’s website design. And not only is the design customizable, the interface can be configured to your preferred specifications as well. That means you’re able to design your pages and content with effortless, intuitive controls that YOU tailored for your own ease of use. It Inspires a Generous Online Community. Maybe it’s because Elegant Themes itself provides such value to its users, with great online support and documentation. Maybe it’s because Elegant Themes hosts a forum where users can connect to further explore common issues. Whatever the reason, the Divi community is engaged and helpful, with online groups and offline meetups to help one another solve problems and network. Some prefer and can afford a bespoke solution, and others simply need a quick and dirty premade template site. Others think that Divi is hard to learn or difficult to work with, but nothing could be further from the truth. The Visual Builder shows you the results of your actions in real time, letting you see your website as it will look live. You don’t have to know any behind-the-scenes coding, but you can use advanced techniques as you gain familiarity and confidence. You may be wondering if using Divi makes it difficult to switch themes later. It’s true that you’ll deal with a series of challenges any time you change themes. That’s why best practice is to work offline, in a staging environment, before taking any major updates, upgrades, or theme changes online. Price is not an issue either, since Elegant Themes offers annual and lifetime subscriptions at a reasonable rate. Access to all their themes and plugins, as well as theme updates, premium support, and unlimited website usage, is available for $89 per year or a one-time $249 fee. So don’t let any objections keep you from experiencing the ease of use Divi offers when developing your next website design. Take Divi for a free test drive at this demo page! Sign up for a 30-Day risk-free Elegant Themes membership here. Or let us design your website for you! Contact us here for more information. This post contains affiliate links, which means I will be paid a small commission — at no extra cost to you — if you choose to click a link and make a purchase. This allows me to continue providing information and resources to you at no cost. And I only promote products that I use and trust.